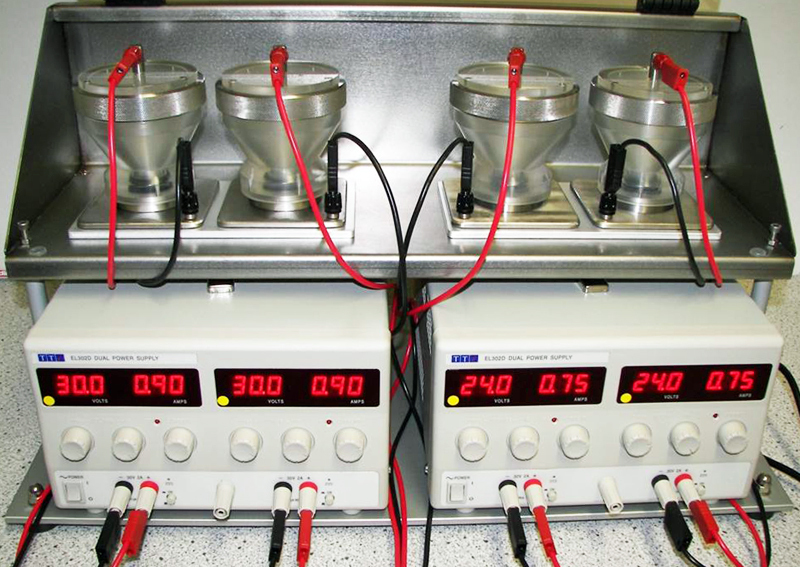 Each standard electrodeposition-system has a dual channel constant current power-supply. One ea. power-supply is to connect one or two ea. cells, Type "S", "S-L", "N" or "N-L". An upgrading of the system for use as a 2-, 4- or 6-channel version with frame and housing and an optional ventilation controlled exhaust-connection is available. 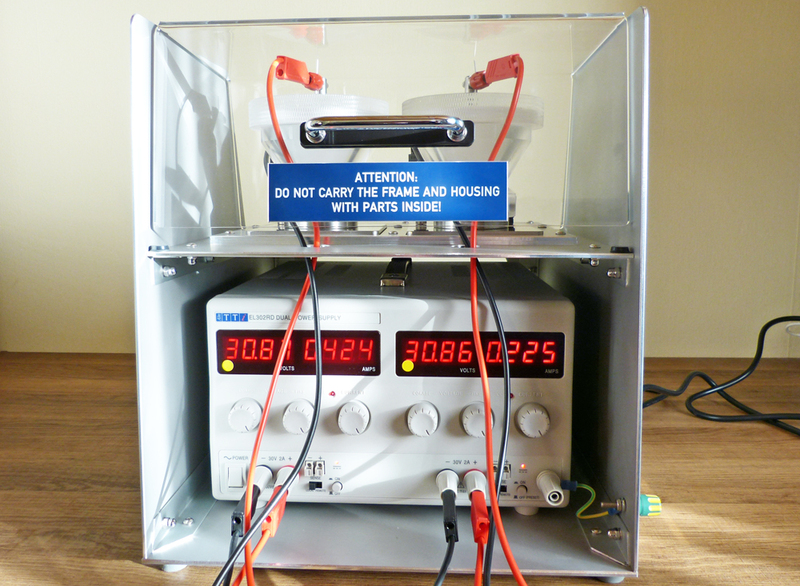 The power-supply is to set and display the adjust- and working constant-current conditions. Cell Type "N" Cell Type "S"
Cell-Type "N" is made of PLEXI-GLASS. 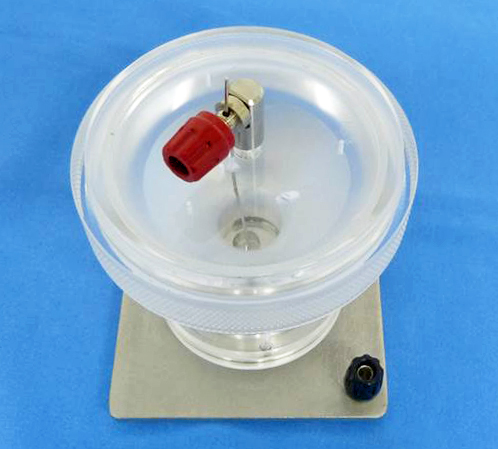 A disposible one-way plastic funnel is inserted into the plexi-glass cell-body and the sample material is filled into the plastic funnel to avoid contact to the cell body (no memory effect). Cell-Type "S" is made of PTFE (Teflon). Sample material is fiiled directly into the teflon cell-body. A Viton-O-Ring is placed under the cell body to seal it against the stainless-steel planchet. 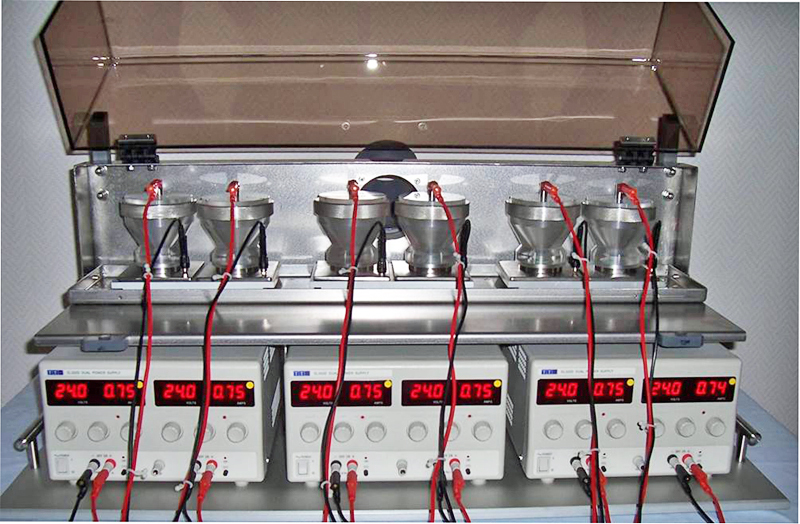 Deposition spot: 12 mm for cell-types "N" and "S"
Deposition spot: 22 mm for cell-types "N-L" and "S-L"